Tina-Marie is responsible for providing guidance for the chapter, representing ChickTech within the community, and ensuring that all programs are running sustainably. Professionally, she is an marketing leader and consultant with with expertise in demand generation, digital marketing, content development, social media, PR, sales enablement and market development. She has directed global marketing strategies for tech companies like SmartFocus, Accelerite, Whitepages, Avalara and Concur. 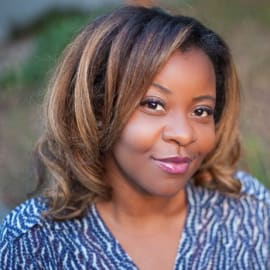 Tina-Marie is passionate about homelessness advocacy/prevention, technology innovation as well as empowering women, youth and communities of color. She is also a member and/or volunteer for New Tech Seattle, HERE Seattle, IAMCP WIT, Levo League and Plymouth House.